Thanksgiving is a time for family gatherings, delicious meals, and celebrations. Thanksgiving is also a time of homecoming. Three times over the course of my life, Thanksgiving has been a significant time of homecoming for me. 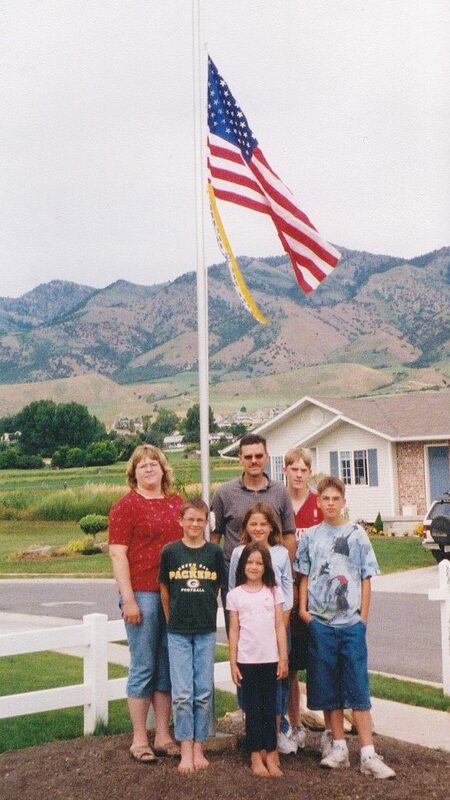 We installed a flagpole at our home just before my deployment to Iraq in June 2004. I remember first my homecoming from Iraq on November 18, 2005. The day was the Friday before Thanksgiving that year. The year I spent in Iraq was challenging, heartbreaking at the loss of life, rewarding for the bonds of friendship. I grew to love the men I worked with as brothers. I cherished the beautiful Iraqi people we fought hard to protect. After a year in their beautiful country, I was very grateful to come home to my country, America, and return home to my family. 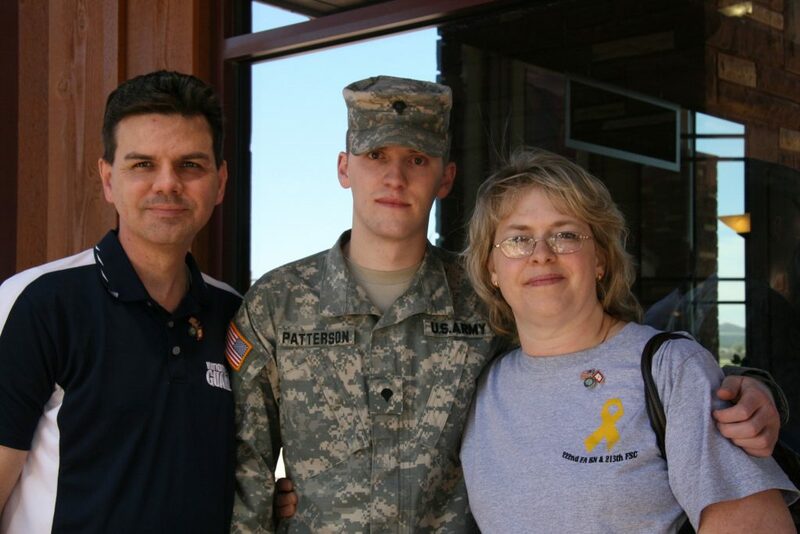 Gathering to say goodbye to Cody before he deployed to Iraq in 2011. 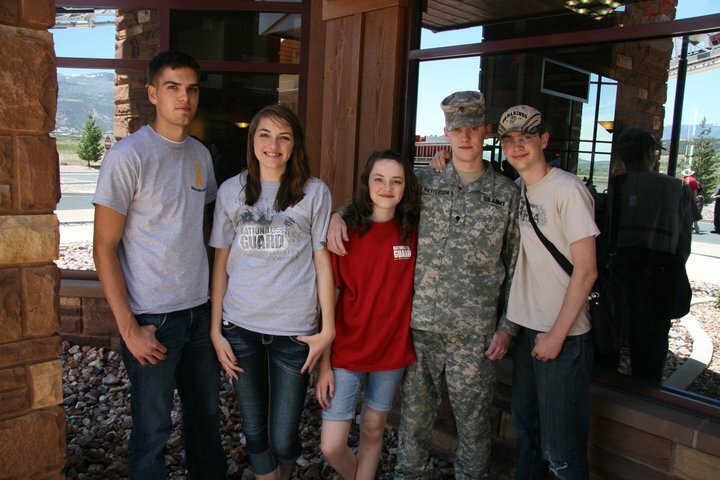 All three of our boys are in the military; Cody in the Army, Clint in the Marine Corps, and Brenin in the Air Force. Cody and Clint have both served in a combat zone. Cody was among the last soldiers in Iraq before the major pullout in 2011. He returned safely home, ironically, also on Friday, November 18th, the same day I came home six years earlier. Five months earlier we sent him to war with the hope and faith we would see him again. I’m grateful for the abundance and ease of communications we had with him while he was deployed. I’m grateful for his commanders and sergeants who led with wisdom and courage. I was extremely grateful when he came home, well and whole. Over 30 years ago on November 25, 1987, the day before Thanksgiving, I returned home after serving as a church missionary in central Florida. I had left Utah two years earlier in a winter blizzard and returned home to Utah to another winter blizzard. After two years of riding bikes under the Floridian sunshine, snow was actually a pleasant treat. More pleasant were the cherished memories of families and friends who changed my life as I sought to strengthen theirs. Homecomings can be much more than just returning to a physical place we call home. A great homecoming could be a reconnecting phone call or email with someone you haven’t talked with in a long time. It could be a lingering chat with a next door neighbor who you hardly get to see. A most beautiful homecoming could be extending the gift of forgiveness, to yourself or to others. It could also be asking for forgiveness. The best homecomings are those quiet moments reconnecting with God. Whatever your homecomings are during this season of gratitude and joy, may they bless you with the gift of an outstretched hand of hope, a word of kindness, and a smile of peace. Have a good Monday! Thanks for letting me share. p.s. Take 13 minutes today to create a homecoming moment of your own.